Please Hug Me books have been featured in a number of prominent news and magazine outlets, many of which are included below. We were also fortunate to have our debut title, Please Hug Me–I’ve Been Delayed as a featured title in Hudson News and Pacific Gateway airport retailers nationwide. Not bad! Holiday travel is tough on passengers as well as pilots, flight attendants and ticket agents. If you find yourself stuck in an airport, Jeff Michaels has some ideas to keep you from going crazy. 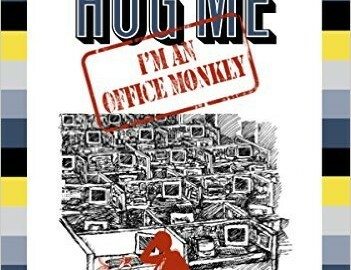 Host Liane Hansen speaks with Michaels, author of a new book, Please Hug Me, I’ve Been Delayed. Radio interview with the always friendly Kellie in the morning on KVYN 99.3 FM, Napa, CA. I got up at 6AM to do it, but you don’t have to. Jeff Michaels discusses his new book, Please Hug Me – I’ve Been Delayed: The only guide you’ll ever need to survive the not-so-friendly skies.